The small island of Santorini has an incredible history that remains alive during the centuries. 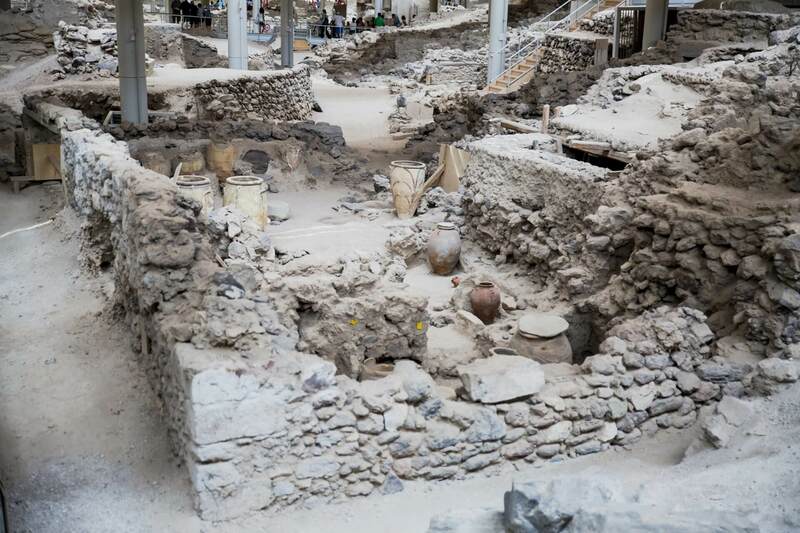 The Ancient Village of Akrotiri is one of the most important prehistoric settlements of the Aegean. Ruins of a whole Minoan settlement were found, which had been destroyed around the year 1500 B.C. by the eruption of the volcano. The prehistoric settlement remains preserved and nowadays is the main attraction of the village Akrotiri. Ancient Thira is another important settlement of Santorini’s prehistoric period. The preserved ruins and monuments belong to the Hellenistic and Roman phases of the city, while many of other items that have been found in the area are kept in the Archaeological Museum in Fira. Moreover, Santorini has plenty of Museums that are very interesting and worthwhile visiting. 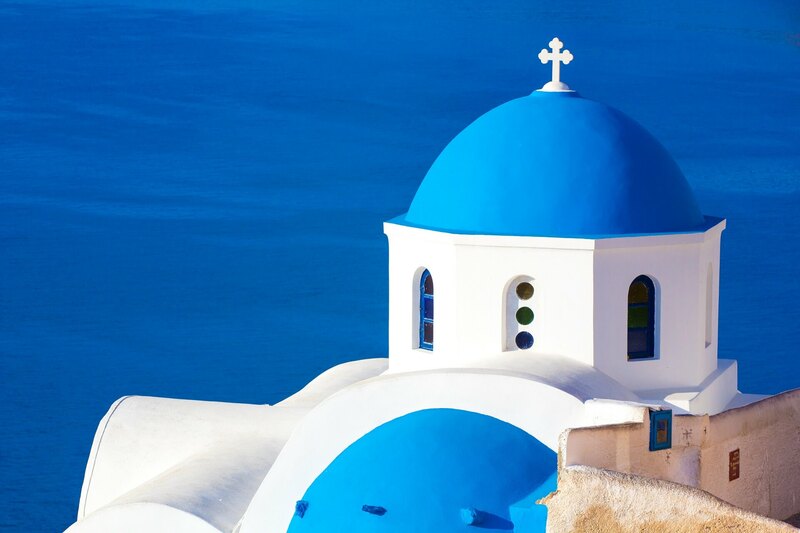 Santorini is famous for its blue domed and colorful churches that adorn the picturesque villages. Religious monuments including chapels, churches and monasteries are scattered throughout the various traditional villages and are admirable for their sanctity and long history. The small chapels are distinguished for their delicate constructions, outstanding locations with amazing view and their impressive bell towers. Every temple is attuned to the natural environment and stands out for their impressive elements. There are both Orthodox and Catholic churches, remarkable cathedrals and glorious monasteries. The largest and most popular church of Santorini is the Orthodox Cathedral church located at the center of the capital of Fira. It was founded in 19th century and is distinguished for the impressive interiors and its striking frescoes. located in Pyrgos Village the Monastery of Prophet Elias is the most impressive and imposing Monastery of Santorini. The monastery holds the Icon and relic collections as well as a magnificent wooden carved iconostasis. Our hotel can arrange a sightseeing archaelogical bus tour to help you explore the vast history of Santorini or an island bus tour that combines visits to the most important and picturesque sites of Santorini.